Have you heard about this Pokémon Go craze? The AR-driven, monster-catching game has broken the record for the most downloads in the first week, Apple has told TechCrunch, although we don't have an exact figure to tell you. That's an impressive feat, even more so when you consider it only appeared in New Zealand, Australia and the US to begin with. The game was finally launched in the UK last week and has since gone live in Japan as well. 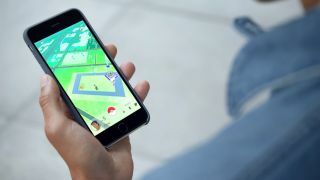 It seems there's some life left in the world of mobile apps after all, even eight years after the App Store first opened its doors - presuming you can hit the right balance between interactive gameplay and a much-loved cartoon brand, of course. Of course with a hit as big as Pokémon Go everyone is rushing to jump on the bandwagon before it starts to slow. Step forward Microsoft, which has just added a "Pokémon detector" to the image search feature in OneDrive - essentially it can automatically spot which creatures are featured in your saved screenshots. Then there's this rather neat iPhone case that makes it much easier to catch those Pokémon when you find them. Seems a little bit like cheating to us, but if you have a 3D printer to hand you can make a case of your own. The phenomenon shows no signs of slowing down just yet and there might be more records to be broken in the near future, until we all find something else to play in our spare time. Until then, the dedication levels of some players continue to impress.